We will be starting our Spring Assessments in April. To provide every child opportunities to develop a positive self-worth, the motivation and inspiration to reach their full academic potential, and the social skills necessary to become successful contributing members of society. 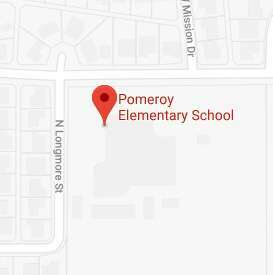 Pomeroy- a place teachers, parents and the community work in partnership so that all students are encouraged to strive for excellence academically, socially, and emotionally in a safe and supportive atmosphere. It's an environment where students are empowered to discover their strengths and to achieve their maximum potential.